¡Hola a todos! I’m a junior studying Studio Art, French and Spanish. 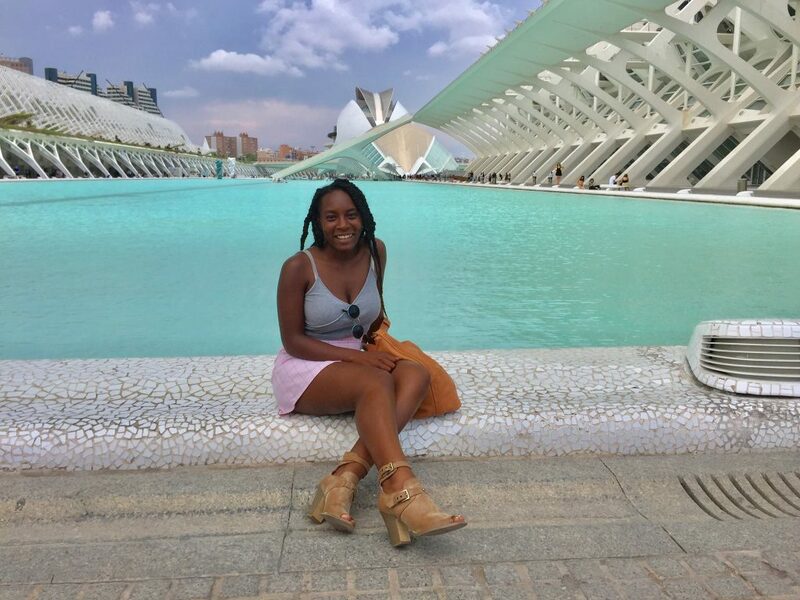 Saginaw, Michigan is my hometown, but this semester I am studying abroad with CIEE Liberal Arts Program in Madrid, Spain! I love exploring cultures, languages, meeting people from different backgrounds, and inspiring others. Since my junior year in high school, it has been my dream to travel throughout Europe and other parts of the world. In May 2018, I was immersed into the metropolitan city of lights while I completed the Art and History May Term in Paris, France. The blessing came in dollars, but the experience was one that only I could make valuable. And so I did. I traveled throughout France, Spain, Italy, and England. Most of my time this summer was spent in the colorful and sunny country of Spain. I lived in Valencia, Spain with a host family for two months as an au pair. As a student in Madrid, I will be experiencing an aspect of Spanish culture that I was not able to explore while living in Valencia, such as Flamenco, traditional music and dance from the gitano culture. The Spanish are more active, their roads are narrower, and, they have a greater desire to stay in the moment and not think too deeply into the future. Many people told me that in Spain “Se vive” (one lives). Now, my mind has been opened to another world of beautiful complexities in Spanish culture and language. After I graduate, I will conduct research and complete a Masters in a Spanish-speaking country. While growing up, I rarely saw an image or heard a story of a black people traveling and immersing themselves into another culture. This is to say, this is not just my experience abroad. Follow me in the Spanish barrios for una aventura inolvidable (an unforgettable experience)!